Grab a friend, spouse, or any partner for the best Date Night around! Event Includes: 9 Holes of Golf, Cart, 2 Drink Tickets, a Meal, and Prizes! https://tregarongolf.com/wp-content/uploads/2018/05/Screen-Shot-2018-06-07-at-9.42.59-AM.png 622 927 teesnap developer https://tregarongolf.com/wp-content/uploads/2018/05/IMG_0001-300x269.jpg teesnap developer2018-06-28 14:07:462018-06-28 14:07:46Friday Couples Golf Night! Phil Mickelson made an appearance in Chicago on Monday at a charity event in conjunction with the KPMG Women’s PGA Championship. Though the gathering was to focus on the tournament that begins Thursday at Kemper Lakes Golf Club, all focus remained on Mickelson and his curious decision to swat a moving ball at the U.S. Open. Speaking to media, the 48-year-old continued to express regret for his actions that resonated well outside the Shinnecock confines. Mickelson, who is sponsored by KPMG, hosted a clinic for kids at Monday’s event while also tossing football with Bears quarterback Chase Daniel and shooting free throws with Bulls guard Kris Dunn and Sky guard Diamond DeShields. Mickelson later made an appearance with Golf Channel’s Todd Lewis, where he again apologized for the commotion. When asked if he expected his legacy to take a hit, Mickelson acknowledged he hadn’t considered the ramifications, but sounded ready for the blowback. “I certainly wasn’t thinking of that at the time, but I have pretty thick skin,” Mickelson said. “I will probably hear about this for some time. 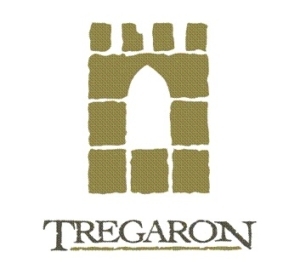 https://tregarongolf.com/wp-content/uploads/2018/06/Screen-Shot-2018-06-26-at-2.46.55-PM.png 587 919 teesnap developer https://tregarongolf.com/wp-content/uploads/2018/05/IMG_0001-300x269.jpg teesnap developer2018-06-26 14:54:572018-06-26 14:54:57Phil Mickelson continues apology tour: "Hopefully at some point we will be able to laugh about it"
https://tregarongolf.com/wp-content/uploads/2018/05/Screen-Shot-2018-06-07-at-9.42.59-AM.png 622 927 teesnap developer https://tregarongolf.com/wp-content/uploads/2018/05/IMG_0001-300x269.jpg teesnap developer2018-06-20 03:37:572018-06-20 03:37:57Friday Couples Golf Night!